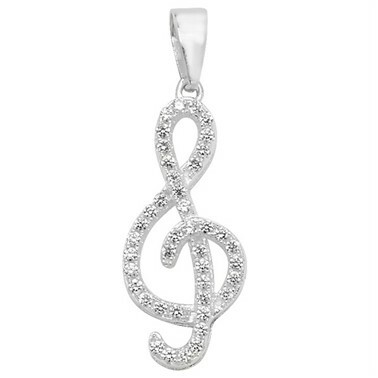 Music fans will adore this SAterling Silver Treble Clef covered in dazzling CZ. Actual Size: 2.5cm inc bale. Includes Chain.